Orka Homes works closely with banks in the UK and Fethiye to bring you the best possible deals on Turkish Mortgages, accounts and savings. London based İş Bank (Pronounced Ish Bank) have arranged for us a very competitive rate and borrowing levels which are far superior to every other Turkish bank. With them you can borrow up to 70-80% of the purchase price of the property for up to 15 years depending on your circumstances. Orka Homes and the İş Bank London office will guide you through the whole process. The application is very simple and straightforward and you will receive a decision very quickly. 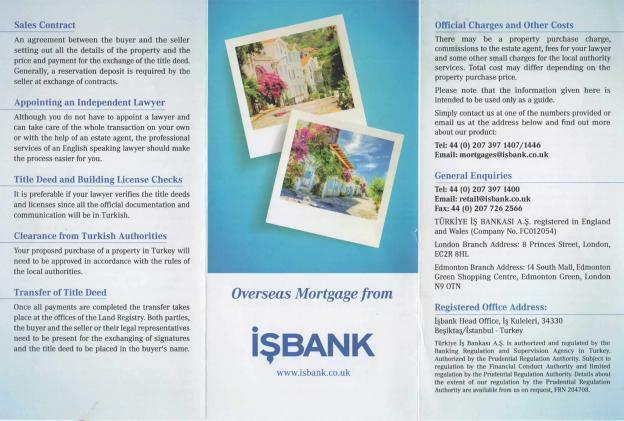 Please have a read through their brochure and let us know if you would like to apply for a Turkish Mortgage. This entry was posted on January 7, 2019 by Martin. 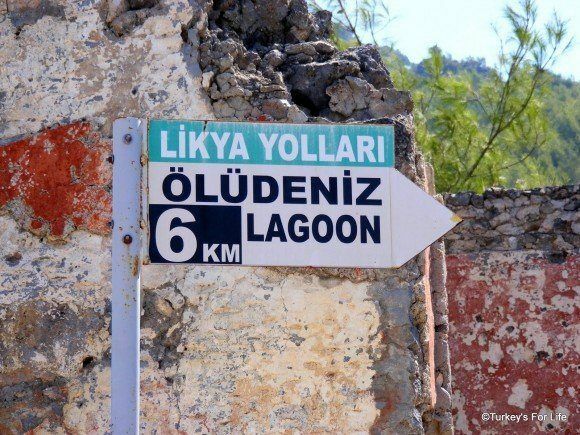 One of the most enjoyable experiences is going on a Fethiye walk in the sunshine. There are many walks available both for the beginner and the more experienced hiker. It is important to remember to carry plenty of water with you as many of the walks will not have a lot of shade and also if you are planning on doing a hill walk then make sure you have sensible walking shoes on. Please do not go walking off-road in your flip flops. We don’t want to state the obvious but even spring and autumn can be very hot in Fethiye. Take plenty of water with you, especially on the more remote walks, and wear a hat. We don’t recommend any strenuous walks in the height of summer but if it’s hot when you’re walking, take into account the fact you might need to allow a bit more time as you’ll be walking slower. Some routes have springs or water taps where you can top water bottles up. Natural springs can be dry in late summer and autumn, if there hasn’t been any rain, so don’t rely on them at these times of year. Some of our walks in Fethiye are but a gentle stroll, taking in the scenery. Some of them are lengthy but not too strenuous. Other hikes are moderate – they might have hilly parts but the walk itself is quite short. We’re also including gamboling around and between ancient ruins. And then we’ve got the more strenuous ones that take you off into the them there mountains. Something for everyone who likes a wander. Turkey’s for Life website have a selection of walks to suit everyone. This entry was posted on January 5, 2017 by Martin. First of all we would like to thank you for supporting and visiting us again this year. We would also like to say a big thank you to all of our hard working staff who have worked extremely hard through the summer season. Its been a busy year here in Turkey and we are delighted that many of you have been on holiday with us again. We have seen many new faces this year which we are always delighted about and many of them have booked again for 2017. Along with holiday makers at the hotels we were delighted to welcome many new property owners as they received the keys for their new apartment or villas. It is always a fun time welcoming new owners and helping them furnish their properties and getting them settled in. 2017 will soon be upon us and we would like to wish everyone a very Happy Christmas when it arrives and also a Prosperous and Healthy New Year for 2017. We look forward to seeing everyone again in 2017 and remember our Orka Boutique Carnival Hotel in Fethiye Marina is open throughout the winter months if you would like to join us for Christmas. This entry was posted on November 23, 2016 by Martin. At the beautiful Fethiye marina there are many sights to be seen including spectacular boats, bistro cafe, markets, people fishing etc but the most spectacular is watching the local wild Fethiye turtles swimming around picking up crabs and bits of fish from the local fishing boats. 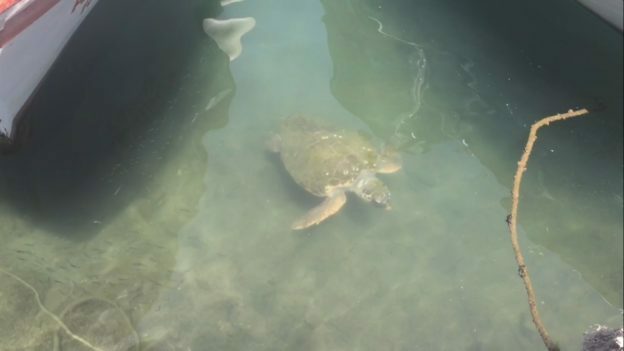 These wild Turtles (Caretta in Turkish) are a protected species now in Turkey and are very much protected by the locals who are very proud of their existence in their seas. When you see these turtles please do not feed them human food as it can endanger their health. There is plenty of food in the sea for them. Butterfly Valley is one of the most attractive places in the surroundings of Fethiye and Oludeniz and in 1995 was declared a nature reserve and is an area of preserved countryside. Butterfly Valley in Oludeniz, Fethiye (Kelebekler Vadisi in Turkish) is one of the most magical and beautiful bays of Turkey and is located on the western coast of the Gulf of Belceiz close to Oludeniz which can only be reached by boat. Its romantic name came from the extraordinarily beautiful tiger butterfly of the Arctiidae family which can be can be seen in abundance in early June. Colonies of these fascinating moths then live in the protected valley until late October. Almost all species of butterflies that live on the coast of the Mediterranean Sea can be found in the Butterfly Valley in Fethiye Turkey. In order to fully enjoy the beauty of these butterflies and take some memorable pictures of the beautiful nature reserve you need to go to one of the waterfalls in Butterfly Valley. The numerous trails lead from coast to waterfalls meandering among the impeccably beautiful scenery. By selecting one of them you can get to the second waterfall among the fragrant aromas of herbs and flowers. All along the way you will see a lot of bright butterflies that float in the air with the appearance of a living cloud. After visiting the valley you can swim in the waters of its beautiful bay with a sandy beach. The water in the bay is very clean and has a wonderful turquoise color. There is a small cafe and a shop on the beach where travelers can buy souvenirs and gifts. 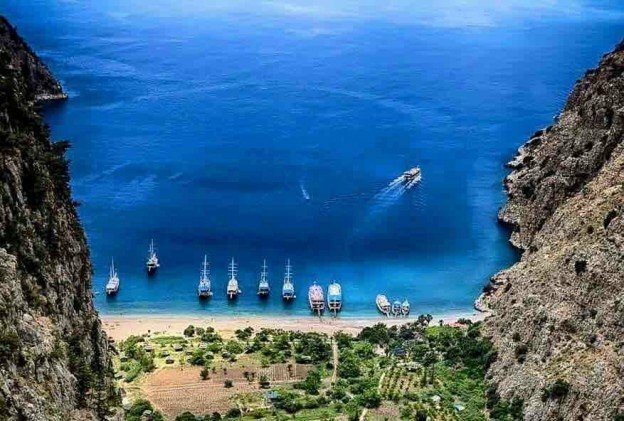 Boat trips to Butterfly Valley Turkey go from from Fethiye and Oludeniz beach. This entry was posted on July 9, 2016 by Martin.